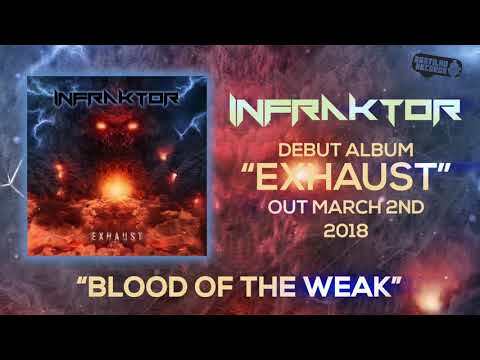 INFRAKTOR was born in March 2013 by the hands of guitarist Carlos Almeida (ex-Skeptik / ex-Revolution Within) and singer Hugo Silva (ex-Headless). After a few line-up changes, it was Francisco Martins (drums, ex-Pitch Black), Ricardo Martins (guitar, ex-Under Fetid Corpses / ex-Pitch Black) and Miguel Pinto (bass, ex-Echidna / ex-Gates Of Hell) who were on the same page and secured the ferocious sound and attitude the band wants to deliver. 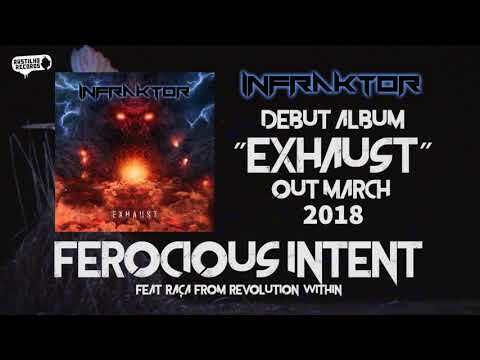 “Exhaust” is their debut album, recorded between Ultrasound Studios-Braga and Demigod Recordings Studio, and produced in the latter by Miguel Tereso. The release is set for March 2018, under the label of Rastilho Records.